Visible satellite imagery from NASA's Aqua satellite captured powerful Super Typhoon Yutu as it moved through the Philippine Sea. 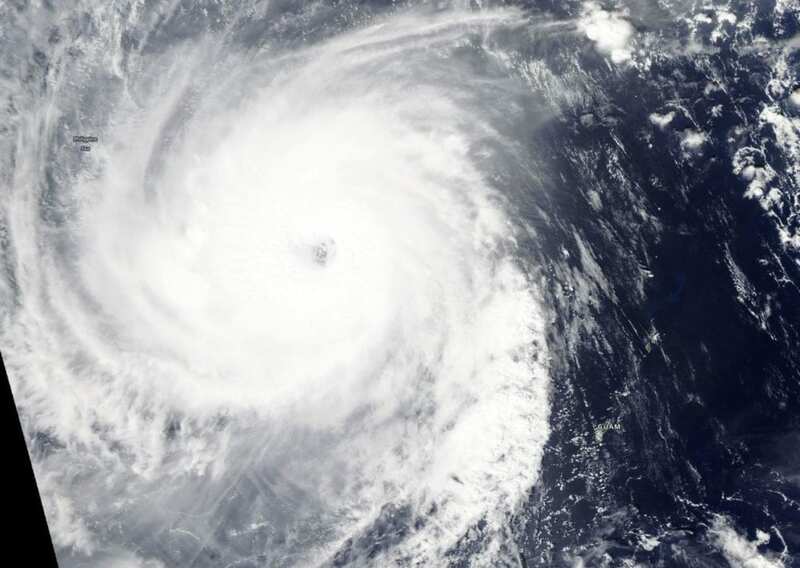 Yutu's eye appeared oblong on satellite imagery. Mature, intense tropical cyclones can and often undergo an eyewall replacement cycle. That's where a new eyewall or ring of thunderstorms within the outer rain bands forms further out from the storm's center, outside of the original eye wall. That ring of thunderstorms then begins to choke off the original eye wall, starving it of moisture and momentum. Eventually, if the cycle is completed, the original eye wall of thunderstorms dissipates and the new outer eye wall of thunderstorms contracts and replace the old eye wall. The storm's intensity can fluctuate over this period, initially weakening as the inner eye wall dies before again strengthening as the outer eye wall contracts. The National Weather Service (NWS) in Tiyan, Guam continued to issue a small craft advisory on Oct. 26. The NWS noted for Marianas Waters "Winds and seas will remain elevated, then slowly subside over the weekend as Super Typhoon Yutu moves away from the Marianas. A Small Craft Advisory remains in effect through Saturday afternoon."